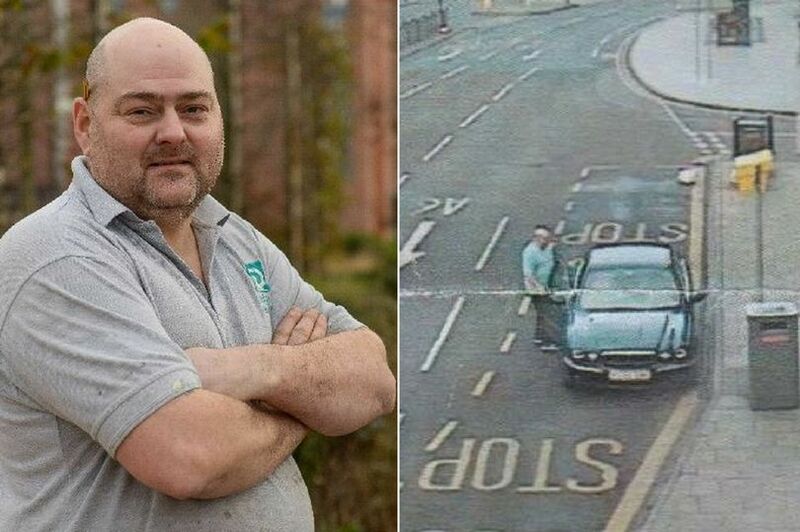 A veteran who pulled over in a bus lane to give a homeless man clothes on Christmas Day has been fined £70. Lee Williamson, who works with a registered charity to help rough sleepers, explained the situation to Leicester City Council, but it has refused to rescind the penalty. The carpenter, who served as a private soldier for five years, spotted the homeless man outside Leicester railway station on Christmas morning. Mr Williamson, aged 43, decided to stop and give him a hat, scarf, gloves, a blanket and a bag containing some festive treats, reports the Leicester Mercury. “I was dropping off my daughter at work just before 10am," he said. “I saw the homeless guy outside the station. There was literally no traffic at all and there were no buses on Christmas Day. I pulled up and gave him some hats, gloves, scarves and food. “He [the homeless man] was absolutely over the moon. He was sat there on his own without another person in sight. “I spoke to him for a bit and when I left I didn’t think any more of it,” Mr Williamson said. He had the supplies in his car due to his work with ‘Once, We Were Soldiers’, which does patrols to speak to homeless veterans and also support other homeless people. On January 3 he was issued with a penalty charge notice for £70 by Leicester City Council. Mr Williamson sent an email to the authority explaining the situation. But despite this, Leicester City Council sent him a letter on Tuesday, January 30, which said: “We have carefully considered what you say but we have decided not to cancel your ticket. It also referenced the death of cyclist Sam Boulton as a reason why people cannot stop there. The cyclist was knocked off his bike in July 2016 by a passenger getting out of a taxi by the station, which caused him to fall into the path of a van. Mr Williamson said he feels like he is “being punished for doing something good”. “It’s not like I’ve parked up to go to the shop,” he added.